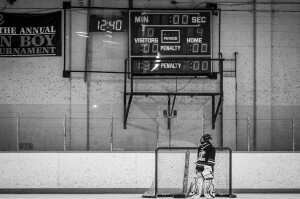 Shot my daughter’s ringette game yesterday. Pretty brutal affair (so far as 12-year old girl’s ringette is concerned) and equally brutal loss. 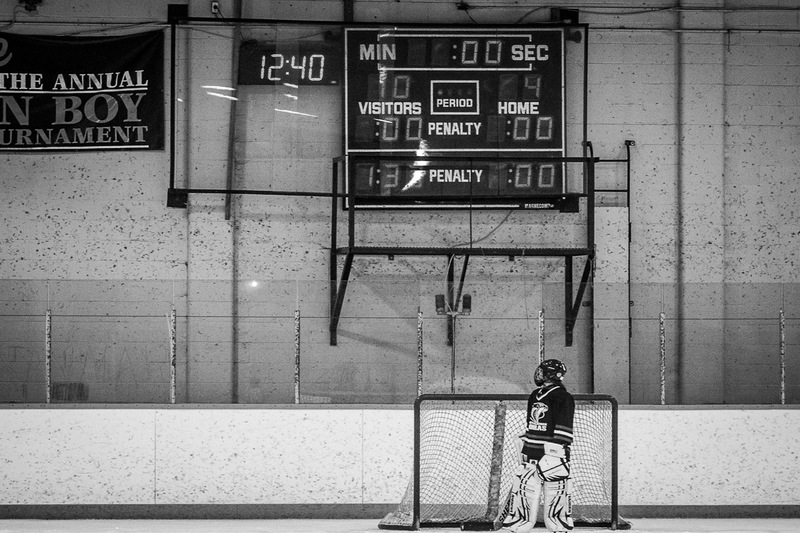 Simple frame of our substitute goalie forlornly looking up at the final score when the buzzer rang. Character 1, Pride 0. Not necessarily something a city wants to be known for, but for a period of time it was colder here than at the North Pole (and even Mars). To some degree we wear it as a badge of honour. Nevertheless, the technical term for the current weather system we are enjoying is Really Freaking Cold (or RFC among the deep thinkers). After too long a hiatus from printing and posting I figured I would do a bit of both this slow Saturday morning. Now I need Santa to bring me some more Epson Exhibition Fiber paper (still my favorite for high-contrast black and white). I ended pulling three each from our recent Italy trip and from France a few years ago. All destined for black and white to emphasize form or feel or light. Color offered little if any benefit in each of these. The prints turned out nice as expected; between the Ex Fiber paper and the Epson inkset and Advanced Black & White mode I can always expect a crisp, neutral result.